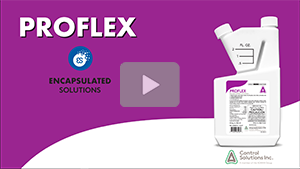 INTRODUCING Proflex® a microencapsulated concentrate containing Lambda-Cyhalothrin, Novaluron, and Pyriproxyfen. 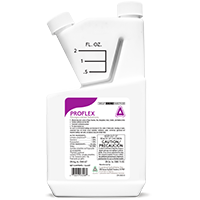 These 3 active ingredients provide 3 modes of action that make ProFlex® your fast-acting and longlasting solution for several hard to control pests including mosquitoes, cockroaches, fleas and ticks. 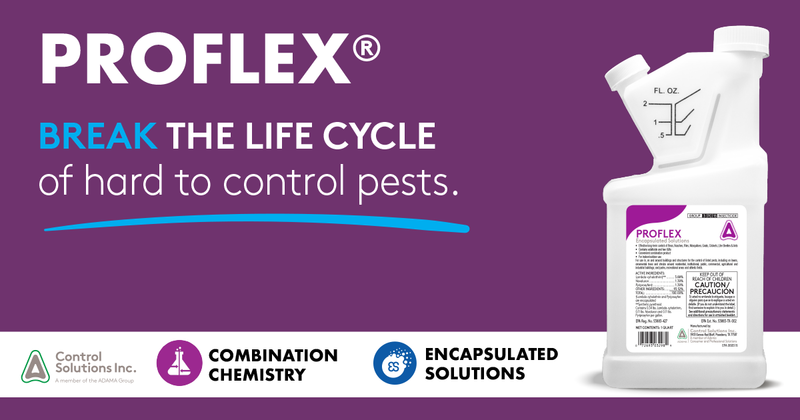 Proflex contains an adulticide and two IGRs which break the life cycle of insect reproduction to control Fleas, Stored Product Pests, Cockroaches, Mosquitoes, Lone Star Ticks, and other listed insect pests. Ask your distributor representative about this quick-acting & long-lasting low-odor that can be utilized to treat your customers home both indoors or outdoors. Pyriproxyfen and lambda-cyhalothrin are encapsulated inside CapVantage technology. This revolutionary encapsulation method gives these active ingredients longer lasting better control of tough to manage pests. Novaluron is free in the formulation, allowing it to go to work immediately against developing pests. Both IGRs formulated into Proflex create a synergistic effect, resulting in early life stage control, up to and including death. active ingredient over a period of weeks, thus providing a long-lasting residual. Mosquitoes, cockroaches, bed bugs, fleas, and more.